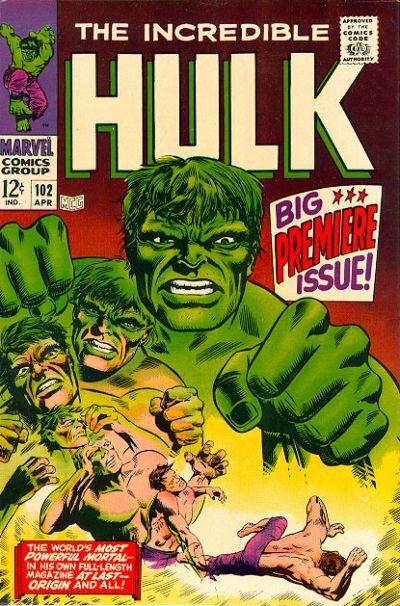 Click Here To See Incredible Hulk #102 Comic Book! Check out this VERY HISTORIC 1967 FIRST ISSUE Incredible Hulk page, as our Green Goliath, with his rising popularity, gets his own title once again! 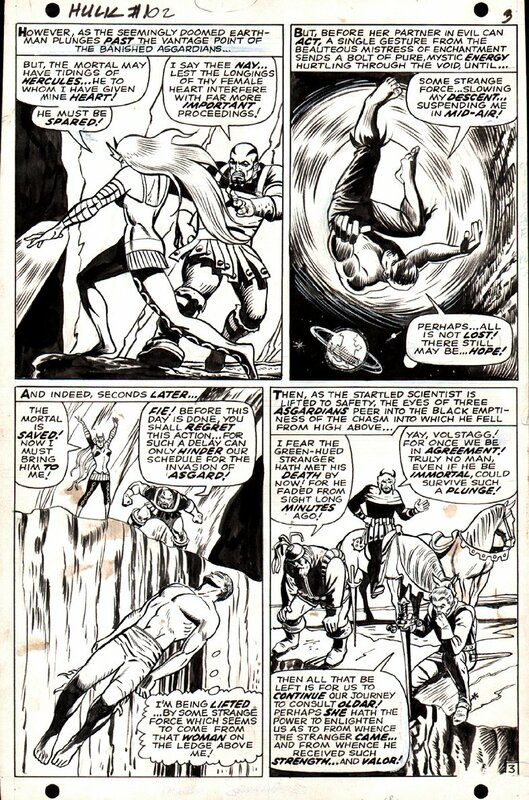 This page was penciled by the great Marie Severin, and inked by the 2 great artists: Syd Shores and George Tuska, from the story titled: "--This World Not His Own!" This nice page features 2 large panels with Bruce banner ready to change into the hulk, as the evil Enchantress and Executioner save Banner from falling to his death! We also see nice images of Warriors Three--Hogun, Fandral, and Volstagg look down the cliff, thinking the Incredible Hulk is DEAD! A great opportunity here to own this HISTORIC 1967 Incredible Hulk page! ALL art on our website (including this one) are able to be purchased with VERY fair time payments, and trades are always considered towards "ANY" art on our website! Just send us an email to mikeburkey@aol.com and we can try to work something out.